All Saints Day and Donna Niemann – R+I+P | "Northern Crossings"
Today is All Saint’s Day. We remember and celebrate the lives of those who have gone ahead of us in the faith and whose memory lives among us even as we look forward to seeing them again at the throne of the Lamb whose Kingdom shall have no end. I found out about Donna’s death as we were preparing for the Reformation, Mission and Mercy celebration. I know that Donna was looking forward to it because she mentioned how much she wanted to hear President Harrison and Rev. Fondow, and singing the hymns. As long as I have been preaching Donna has been playing the organ. There is a rumor out there, and I think it is true that Donna was the only person who can play that organ. It is an old irascible instrument that still has the old tubes inside that have to be changed on occasion. I am not sure that we can replace the tubes anymore because they must be hard to find. The organ, on occasion emits a strange low growl that sounds like the hum of the freight trains that gather outside of town in the dark of the late night and simply grumble off in the distance. I would hear it after the “Hymn of the Day” on occasion and look over to Donna to see if she was hearing what I was. Evidently she did because she would touch some button or place her hand on some secret tab or diapason stop and the grumbling stopped for a while at least. Donna loved music and loved playing that organ. The only time I ever saw her nervous or anxious was on the Sundays when we sing the Te Deum. It is, in my opinion, the great hymn of the church. I love it and others really have issues with it. One wag in my congregation called it the “tedium”. It is pronounced “tay dayum”, but the play on words is well taken. Donna valiantly played it but it was a challenge. In the years that I have been at St. John’s I can remember only a handful of times that she did not play. In rain, sleet, snow or gloom of night, (service at St. John’s begins at 8am and on winter mornings that is dark) Donna would be there. She was a women of strength. She had go before her, a husband, 2 sons, a daughter and a grandson. There is grief there that is unimaginable to me and she confided that without Christ it would be unbearable. It is still unfathomable and yet she rejoiced in their lives and memory. She was extremely proud of her grandchildren, most of whom played some kind of instrument, and she beamed when they played for Christmas services or special events. She loved Bible study and came down to Grafton for the study after church and went up to Cavalier for a study there as well. I had coffee with her that turned into a Bible study on confession and absolution that lasted long after the coffee was gone. She told me one time that the most exciting and incredible thing for her was knowing that her sins were forgiven in Christ and gone, extirpated, propitiated, removed, eliminated, expiated, and forgotten. Well, she said forgotten, the other synonyms are mine. I added them for her and told her I was glad she was excited and lived in that incredible knowledge and trust. I just wish everyone else did too. 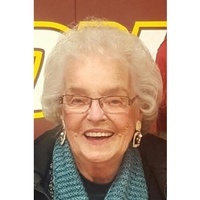 Donna L. Niemann, age 87 of St. Thomas, ND passed away on Friday, October 26 2018 at her home in St. Thomas. Donna Lucille Niemann was born June 22, 1931 in St. Thomas, ND the daughter of the late Alfred and Nellie (Furtan) Lunde. She attended rural school at the Duffy School near St. Thomas and graduated from St. Thomas High School. She attended Valley City State Teacher’s College for two years. She taught school at the Quam School near St. Thomas and Hensel, North Dakota. Donna was united in marriage to Albert Niemann on December 20, 1953 in St. Thomas, ND. The couple lived and farmed near Crystal, North Dakota until Albert’s death on June 25, 1994. In November of 1994 Donna moved to St. Thomas, ND and started working as a tutor at the St. Thomas School. She did this for several years and enjoyed every minute of it. She was a member of the St. John’s Lutheran Church of Crystal, ND where she served as church organist for over 30 years. She was an active member of the St. John’s LWML, the St. Thomas Preservation Society, St. Thomas Senior Citizens, the Pembina County Heritage Club and Pioneer Daughters, a fifty year member of the Friendly Homemakers Group and the Crystal American Legion Auxiliary. Donna loved music and it flowed from her. She played piano by ear and enjoyed going to Borg Pioneer Home and Wedgewood Manor and playing for the residents. She was an avid sports fan and followed her grandchildren’s games faithfully. She loved the Minnesota Twins and Minnesota Timberwolves. She enjoyed spending time with her grandchildren playing games, especially Farkle. Donna is survived by her children: Lynn (Annette) Niemann, Crystal, ND; Nancy (Dennis) Rindy, Portland, ND; son-in-law, Harold Unke, Crookston, MN; daughter-in-law, Jaci Niemann, Grafton, ND; 17 grandchildren, 11 great grandchildren and several nieces and nephews. She was the last surviving member of her immediate family. She was preceded in death by her parents, husband, daughter, Ramona Unke, sons: David Niemann and Lyle Niemann, grandson, Daniel Unke and siblings: Roy Lunde, Wilbur Lunde, Mildred Bigwood, Selmar, John Lunde Sr., Goldie Irey Fry, Phyllis Tisdale, Evelyn Thom, Violet Turner and infant brother Clayton Lunde. Funeral services will be Saturday, November 3, 2018 at 10:30 AM at St. John’s Lutheran Church, Crystal, North Dakota. Visitation will be Friday from 5-7 with a prayer service at 7:00 PM at Tollefson Funeral Home of Grafton, ND. Friends may also call at the church on Saturday for one hour prior to the service. Interment will be at St. John’s Lutheran Cemetery of Crystal, ND.